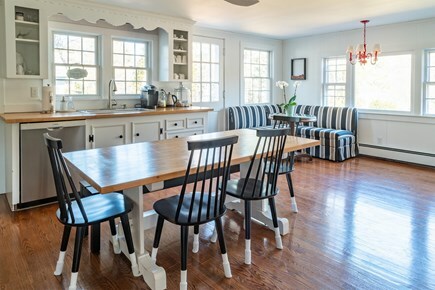 This spacious beach house is perfect for your family or group vacation! 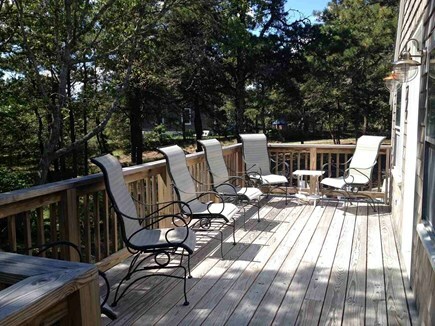 Prime location south of 28—close to Forest Beach and many amenities. The 4 bedroom, 2 bath home comfortably sleeps 9, and is set on a beautifully landscaped, full acre lot. 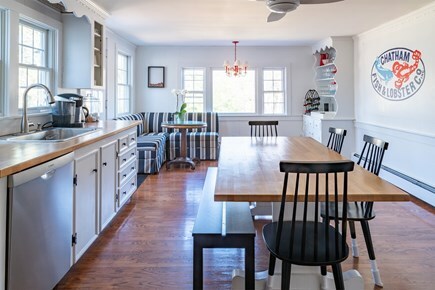 The bright and airy first floor includes a large kitchen & dining combination, a sitting room great for board games and meals, a living room with TV, and a sunroom for lounging. 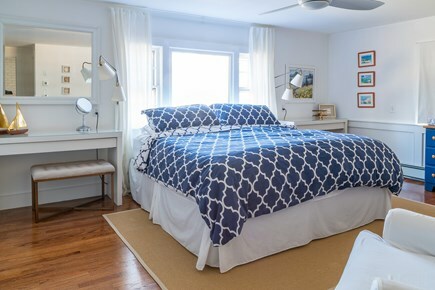 Open the windows and sliding french door to enjoy fresh Nantucket Sound breezes or keep cool with the brand new central air conditioning system. 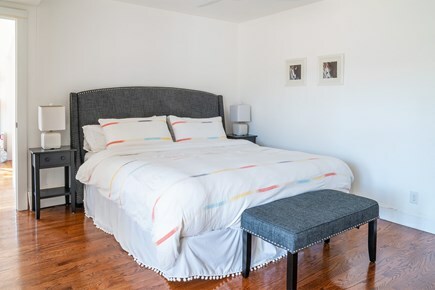 Take your pick from the “double masters”— 2 large bedrooms, each with king sized beds. One, with an en suite bath and the other attached to main bath. 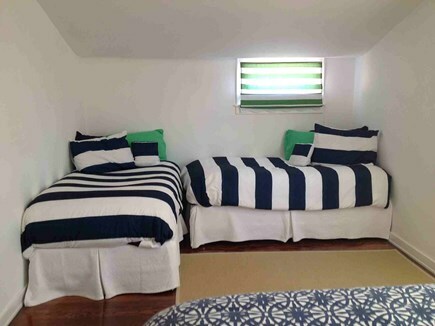 Two more bedrooms upstairs are perfect for kids or couples. 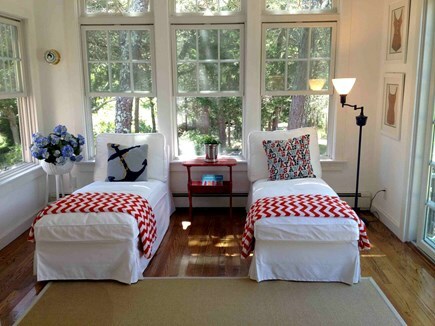 One, with a queen bed plus twin daybed; the other with twin XL beds that can be conjoined to form a comfortable king. 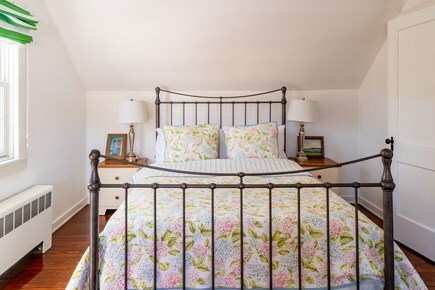 Escape to the separate barn on the property which has a sun deck and bonus room with large flat screen TV, sofa and chairs, and two twin daybeds for lounging or extra guests. 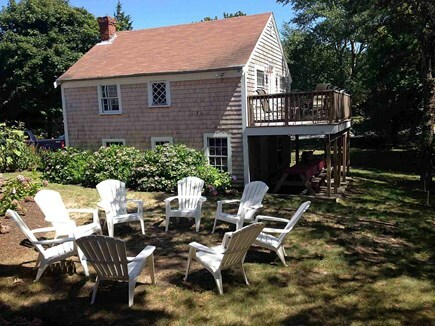 Tranquil South Chatham location has access to all that makes a great vacation. 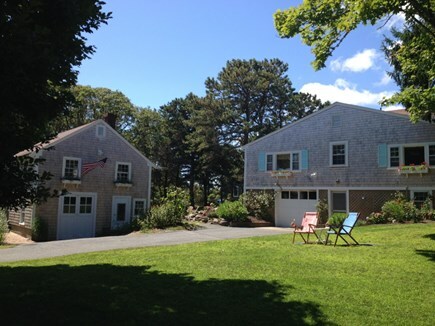 Less than 1/2 mile to Forest Beach and adjacent conservation park with walking trails and scenic overlook of bird sanctuary and Nantucket Sound. Less than 1/4 mile to neighborhood park with tennis court, basketball hoop, brand new playground and short hiking trail that is perfect for kids. Less than 1/4 mile to launch your kayak or paddle-board into Mill Creek where you’ll see oysters, horseshoe crabs and minnows on your way out to Nantucket Sound. Wonderful dining choices are also nearby. Pisces restaurant, just 1/4 mile down the road, is one of Chatham's best fine dining experiences, or try the Talkative Pig for relaxed, family-friendly Pizza & Mediterranean. 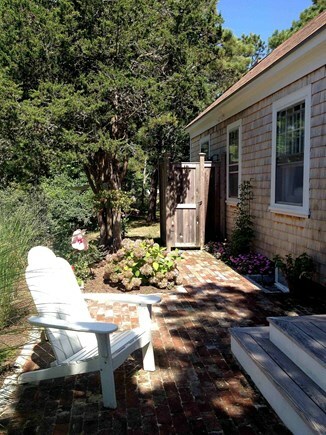 Drive minutes to charming downtown Chatham and Harwich Port. 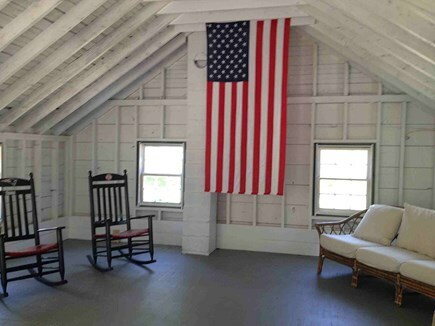 If you decide to stay at home, relax in a hammock or Adirondack chair and enjoy the full acre property with sea breezes, large shady trees, manicured lawn, brick patios and walkways, lush floral landscape, and a meadow of wild flowers and young fruit trees. 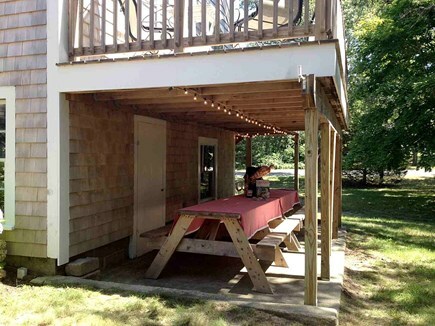 Dine al fresco at the two large shaded picnic tables with seating for 16! 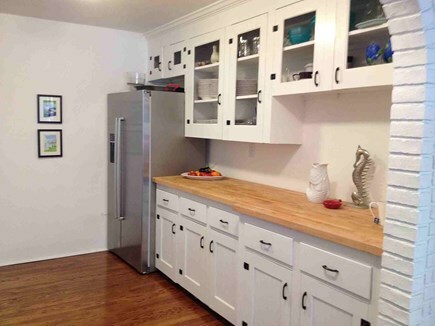 The tidy walkout basement keeps things easy with a washer/dryer, large secondary refrigerator, beach chairs, sand toys and a fun play area for kids. Additional pricing info: $200 Cleaning fee and $100 Processing fee, State and local taxes of 12.45% will apply.